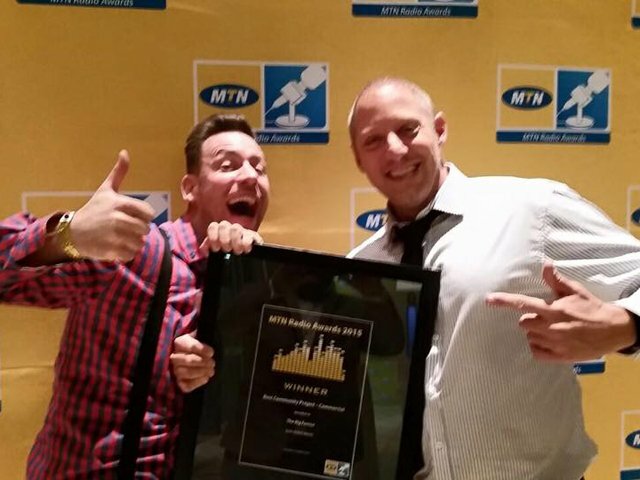 Team ECR scoops two MTN Radio Awards! We’re celebrating! Newswatch journalist Khatija Nxedlana and Damon Beard’s The Big Favour have each bagged an MTN Radio Award! The glitzy MTN Radio Awards ceremony, attended by South Africa’s radio elite, took place at the Sandton Convention Centre last night. Last year, East Coast Radio brought home two MTN Radio Awards. The Drive with Damon team won an MTN Radio Award for Best Promotions/Stunt, while the station's imaging producer, Salendran Thulukanam, was honoured as an MTN Radio Awards Bright Star. East Coast Radio’s sister station, Jacaranda FM, was named Station Of The Year at last night’s MTN Radio Awards ceremony.